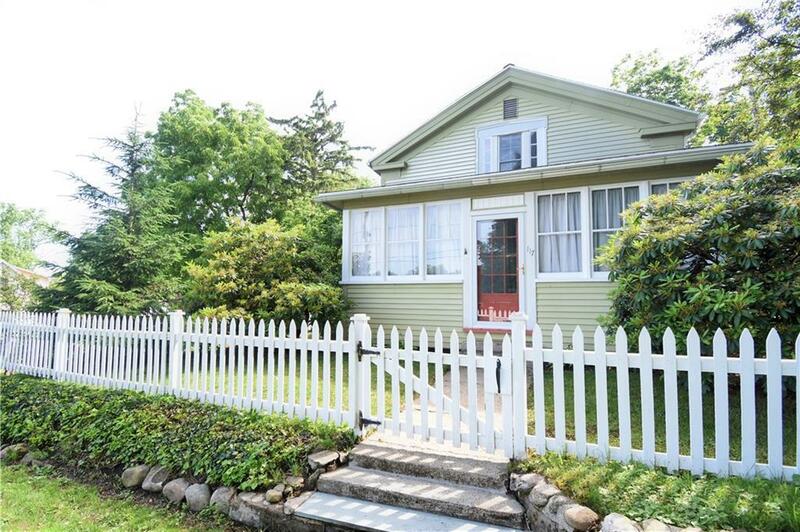 Move-in ready & just waiting for you to call it home, this charming 2 bed/2 bath home is located in a desirable neighborhood in the Historic Village of Westfield, right across from Welch Field. The home boasts extensive updates & renovations including a new roof, updated paint throughout, an updated full bathroom downstairs, a completely renovated 2nd floor w/ carpeted bedrooms & tons of natural light, and a master suite w/ a completely remodeled bathroom. The enclosed front porch and open side porch provide lovely opportunities for entertaining year-round. A detached garage with deck & car port is currently being used as additional office/storage space. Lots of unique touches, cozy alcoves - even a pergola with seating & a white picket fence - make this home truly special & one of a kind. This one won't be on the market long, so call and schedule your personal showing today! Directionsto Property: Route 394 To Westfield. East On Third Street To Union. South On Union To Home On Left.